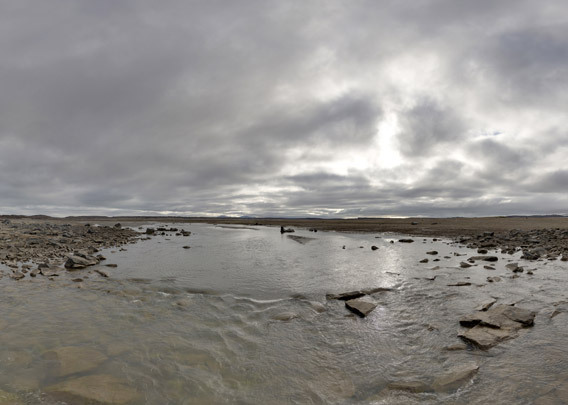 Buchholzbukta is located in the easternmost part of Spitsbergen between Heleysund and Kapp Payer. 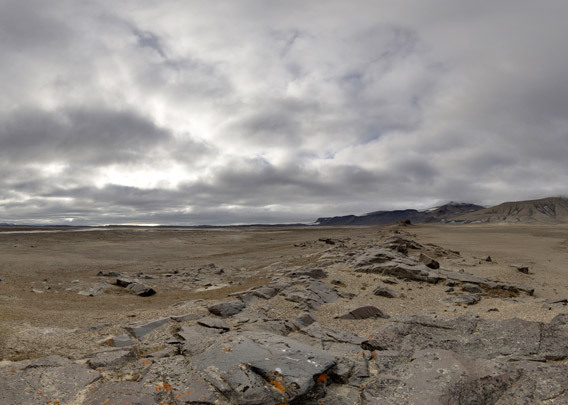 The landscape is wide and open, with a barren tundra plain and some small rivers. The coastal waters are shallow and further south, towards Heleysund, the coast is a low rocky cliff coast of basaltic rocks. This makes Buchholzbukta altogether a difficult place to get to unless the weather is really calm. It is accordingly hardly ever visited today and this was no different in historical times. Only one wintering from the years of overwintering trappers is known from the 1920. It was a group of 3 Norwegian hunters including one woman. They let their boat freeze in a sheltered bay in the Heleysund area for the winter and built two huts, one in Straumsland and one in Buchholzbukta. 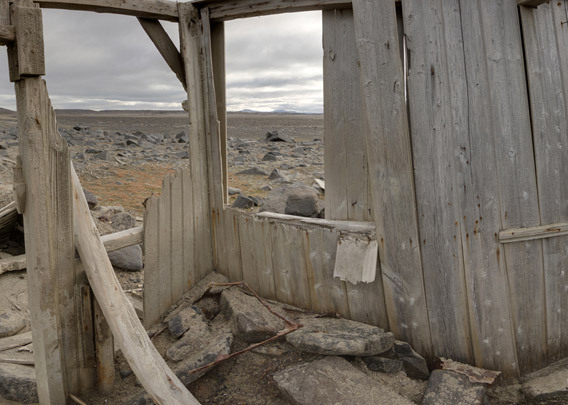 Ruin of trapper hut (1). 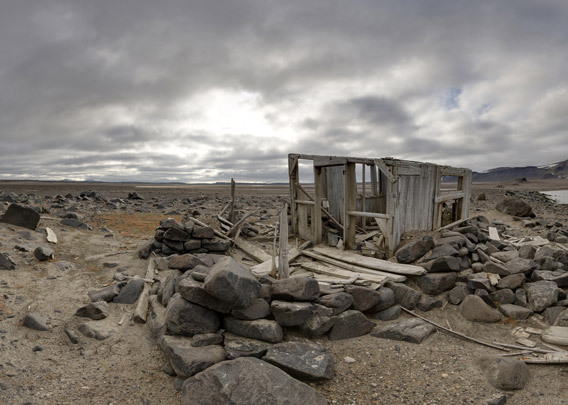 Nothing is left from the one in Straumsland, while there is at least this ruin visible of the hut in Buchholzbukta.